Q. What is your title and what do you do? A. Assistant Director of IT & Operations: Oversee the online application infrastructure, application processing, decision notifications, and work with various departments on campus to provide a seamless transition to the University for our Simon students. Q. How long have you worked at Simon? A. I have been at Simon for a little over one year. Q. Where did you work prior to Simon? 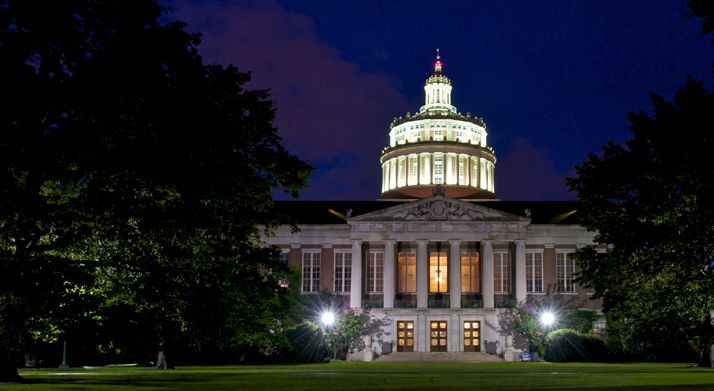 A. I worked at the Financial Aid Office at the University of Rochester, working with students seeking financing options for their education. A. I love the balance between student contact and being the “man behind the veil” with operations. I also love the fact that my main job is to make others’ experiences (student or colleague) as easy as possible. Q. Fun fact about you? A. Since 2002, I have traveled to a different country once per year and plan on doing that for the rest of my life! This has probably spawned my obsession with maps! Q. If you could recommend a “uniquely Rochester experience” to prospective students what would it be? A. Attend all the festivals! We have so many types of festivals in Rochester throughout the year, that I firmly believe that everyone can find at least one that they will enjoy!